A leaky faucet can not only be annoying to listen to (drip, drip, drip), but it can also be very wasteful. In fact, a faucet that drips one drop of water per second can waste up to 58 gallons of water every week. That adds up to 3,000 gallons a year – the same amount of water you need to take 180 showers. At Timothy Off, we offer leaky faucet repair services and can fix the issue. At Timothy Off, leaky faucets are one of our many specialties. We find that often times, a leak (whether it’s your kitchen sink, bath tub, or bathroom faucet) is due to a worn or damaged washer. However, sometimes a leak can mean a more serious situation – especially if it’s a steady leak that’s more than a few drips. A large leak can mean damage to your pipes, lose or failed faucet parts, corrosion, and more. If your faucet is leaking, don’t put off reaching out to our residential and commercial plumbing experts. 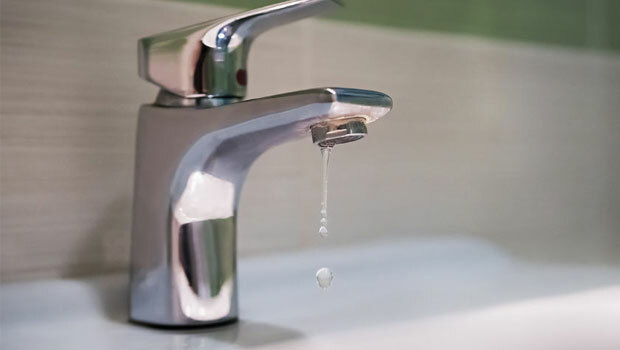 Leaks don’t often go away on their own and if you don’t address a leak as soon as possible, it can lead to a more severe scenario, and often times, water damage. To get a better idea of how bad the leak is, take a look underneath your sink. If there is moisture or dripping, let us know – you don’t want to ruin your cabinets. Call a plumbing specialist today and schedule an appointment. We’ll take a look at your leaky faucet and determine what the problem is. After that, we’ll work quickly to fix it so you can go back to enjoying free-flowing water and the sound of silence.